How Much Does a Property Survey Cost in 2019? Typically, before building or adding any improvements to your property, you must know whether or not you would be infringing or encroaching on someone else’s property. In many states, you cannot build or even fence your property within so many feet or yards of property lines. Therefore, it is wise to have a survey completed before you go to the expense of having something built you might need to have removed. Especially if it does not comply with zoning laws and local ordinances. Other variables you will want to consider include: how long the survey is good for, generally 5-10 years, and how long will it take to complete. When you have a contractor lined up and ready to begin an improvement project, you do not want to keep them waiting while you complete a survey. On the other hand, you do not want to pay to build only to pay to have it moved, removed, or rebuilt. Some surveyors will complete it quicker if you spend a little more; rush jobs usually add $100 – $200 per day. Before you let a surveyor begin, make sure to get everything in writing to avoid problems. For instance, if you are building a fence and someone sues you for encroachment, who pays to move the fence if the surveyor’s lines were incorrect? Common sense would say the surveyor, but if you do not have it in writing, it could require a civil suit or a trip to small claims court to get them to pay for their error. There are several types of property surveys, and the costs depend on several factors, such as why you need the survey done and how cluttered the property getting surveyed is. 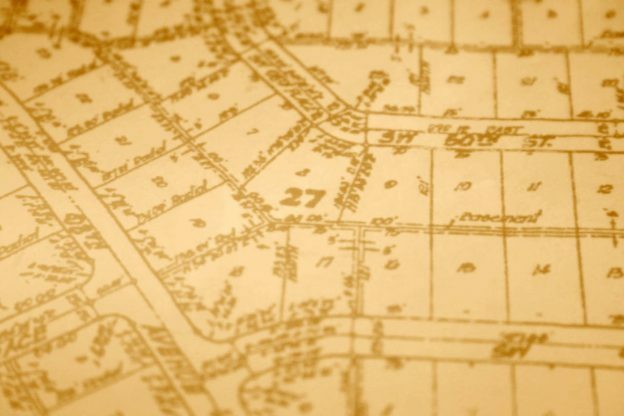 Surveying a plot in a wide-open field to find property lines of inherited property between relatives could be a DIY survey, or an inexpensive stake site or plot survey. Many issues can get worked out before you get a mortgage on a new property when you complete a survey before you buy. Some banking institutions and title companies insist on a completed survey as a part of closing. The good news is, you will have a basis for any fence or property improvements you intend to do. Plus you will know if a neighbor has encroached on your property and possibly avert property feuds in the future. A typical, uncomplicated mortgage survey is about $500. Who Is Responsible to Pay? The Buyer or the Seller? In five states, the seller is responsible for paying for, and providing the survey to the buyer, Alaska, Kansas, Nebraska, Illinois, and Missouri. In other states, either the buyer pays or who pays is negotiable. You will need a new construction survey completed before you start building a new home or commercial building. This process commonly consists of topography, boundary stakes, and property line location services. It costs between $1000 and $2000 depending on the size and terrain. A professional survey team will lay out your boundaries and provide their legal description. Both the buyer and the seller could benefit from getting an official boundary survey, but the benefit to the buyer could last a lot longer. This survey is one of the most basic and cheapest; around $100 for a small plot and $600 to $1000 for an acre or two. What Can I Expect from a Residential Land Report? In this report, you should have a mapped representation of your property lines, an outlined plot or plat improvement indicator, and any topographical features, other property lines that infringe or meet your property lines, and service entrances and easements which cross your land or plot. This survey lays out the topographic elements of a plot, such as trees, streams, ponds, fences, and building. For plots less than 10,000 square feet, expect to pay $500 to $1000. The American Land Title Association is by far the most comprehensive and expensive land survey. You can expect to pay $2000 – $3000 but it will catch any boundary issues, particularly for commercial property sales, but you can also get one for residential properties. Even when you will tear out and replace a fence, you want to ensure every portion of the fence is on your land to prevent having to move or remove it. When planning and laying out a new fence efficiently, the survey cost depends on the land size and terrain but usually costs between $250 – $1000. A plot plan costs around $100 – $200, usually from the developer for a plot within a housing development, and plat surveys are $25 or $30 from the county. A plot plan is not meant to be accurate but defines how the development should get laid out. The plat survey will lay out streets and buildings surrounding your plot and is a legal document. When you buy a plot, you should be given both, if not ask for them. It’s a good idea to have a survey completed before building any type of addition, driveway, pool, or patio. Even a second-story patio could encroach onto the neighbor’s property. These are usually fairly simple and cost $200 – $500 depending on the property size. When buying or selling a property, the real estate agent might use a particular appraiser and either add their price to closing costs or get the money upfront. In the five states listed above, if you are the seller, you can ask that the survey gets charged to the buyer. However, an appraisal could be completely different than the survey and include the fair market value for the house and property, not just property lines and boundaries. To get a realistic estimate of how much a survey will cost when buying or selling a property, the best place to start is a reputable local real estate agent. Another source for an independent survey team is from the building inspector or tax assessor’s office. Both deal with survey teams regularly and know who will give you a fair price. Remember to save money on moving, removing, or rebuilding, always start a new project with an independent survey. And, when you plan to build a fence, discuss it with your neighbors to see if you can split the costs of the survey and the fence.